No matter what you happen to call it—energy efficient construction, green building, or sustainable building, the advantages go far beyond simply saving on energy bills. Why not take advantage of modern building science to build more efficiently and produce a higher quality project? 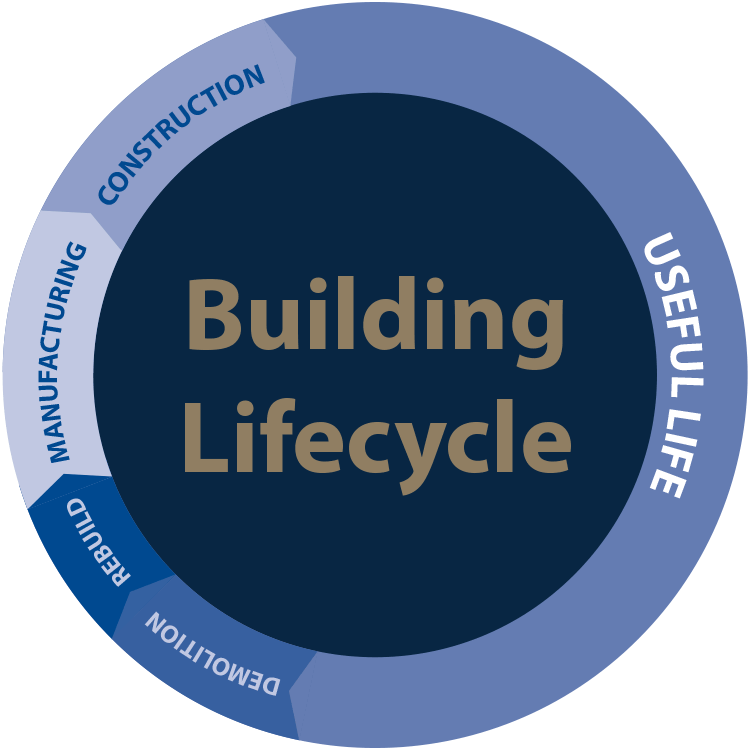 It is important to contemplate the entire lifecycle of a building project when evaluating its energy-efficiency and sustainable nature. Insulspan® SIPs are an ideal sustainable building solution during each stage of the building lifecycle. Insulspan SIP manufacturing occurs in quality-controlled facilities where excess materials are collected and recycled. Fabricating the EPS panels in a controlled environment means there is less waste and increased quality. A standard building project can produce an incredible amount of construction waste. For instance, the NAHB estimates that the average 2,000 square foot home generates 8,000 pounds of waste. [i] About 40% of that waste comes from cut lumber. By utilizing prefabricated structural insulated panels, construction crews install the shell of a structure more quickly, and without producing excess construction waste. Read more about the benefits of increased speed of construction with Insulspan SIPs. Approximately 40% of the energy pulled from the grid is used for heating and cooling residential homes. When you add-in the energy used for commercial structures, it is easy to see the impact better building solutions, like SIP construction, have on overall energy use. The Insulspan SIP panel system provides airtight wall and roof assemblies with better thermal resistance than other construction methods. In fact, building with Insulspan SIPs has been repeatedly shown to reduce energy loss by 40-60% over stick framed construction. Structural insulated panel construction saves substantial energy costs over the entire life of your structure. Learn more about our Superior Energy Efficiency. Quality building structures, that have proven to use less energy, retain higher resell values than less-efficient buildings. Energy appraisals now recognize this value, as do potential buyers who understand the continued cost savings over time. The most sustainable homes and buildings are those that retain a high level of efficiency over the course of their life. As soon as a structure is no longer viable, it will need to be replaced, thus requiring the use of additional building materials. SIP buildings perform at higher efficiencies for much longer than conventionally constructed buildings. This makes SIP buildings a truly sustainable building solution. Insulspan SIP Construction provides lasting quality and superior energy efficiency. Let us help you determine the best construction solution for you.